Long life, low cost, accuracy and ease of use are the key features of the latest gas analysers on the market. Eugene McCarthy reports. Michell Instruments has released the latest version of its Condumax II hydrocarbon and water dew-point analyser In response to requests from customers, the company has developed a transportable version of its market-leading hydrocarbon dew-point analyser. The key function of this version will be to enable engineers to provide a fast response for investigations into the quality of natural gas, wherever it is needed. The transportable Condumax II measures hydrocarbon and water dew-point - key indicators of the quality of natural gas -in the same way and to the same accuracy as the on-line version. The analyser is fitted into a robust transport case with rudimentary sampling system suitable for performing supervised measurement sequences. Michell's technical consultant, Andy Benton, explains, "The transportable Condumax II provides a totally flexible analyser package for investigations into natural gas quality - which means that it could be employed anywhere in the natural gas supply chain, from processing plants through to pipeline transmission, and by large users such as electricity generation companies. 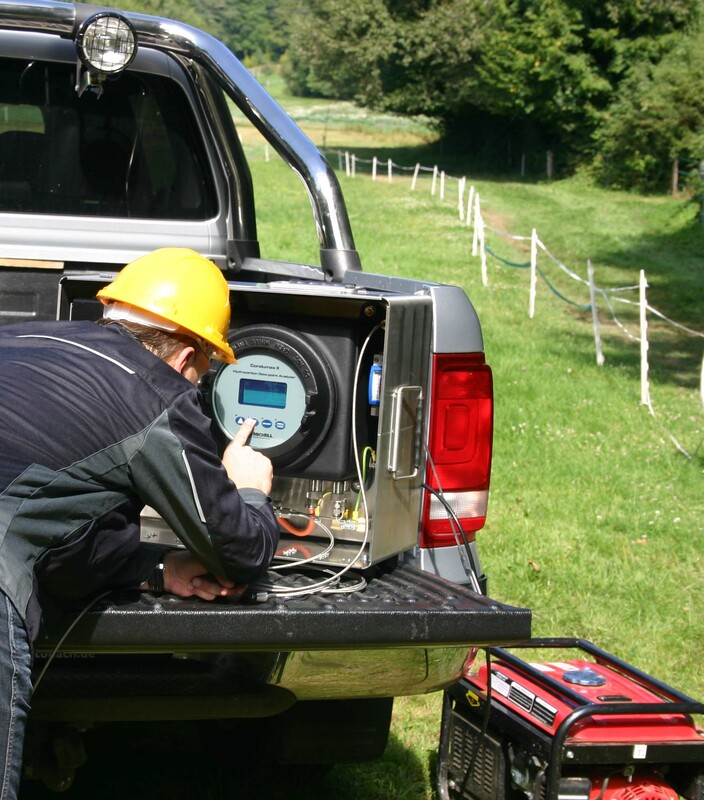 So it's important that the system can be loaded into and out of a pick-up truck by two engineers, who will be able to operate and analyse the results on site." This ease of use reduces the reaction time of test measurements as well as the cost. Condumax II is certified for use in hazardous areas around the world. Other portable Michell products are the dew-point hygrometers Easidew Portable, MDM300 and MDM300 I.S. These allow quick and easy spot-checks to be made of water dew point in a number of processes from compressed air systems to natural gas (with the intrinsically safe version). Quantitech has launched Voxtrac in-pipe gas flow monitoring technology that also offers the ability to measure gas composition or purity. Sales director Dominic Duggan says: "This is an important announcement because, unlike other methods, this measurement is not affected by the gas composition, temperature, density, viscosity or pressure, and there is no obstruction at the measurement point." When the speed of sound (SoS) in a gas is measured along a path in both directions simultaneously, the difference in the measured velocities is proportional to the gas velocity along the pipe. If gas temperature is expected to fluctuate, an automatic compensation is applied. If the gas is at a pressure below ambient then it is only the volume of the sound that would limit the measurement capability. Measurements at 100mbar are feasible and flow rates between 0.01l/min and 200l/min are possible in pipes up to 200mm in diameter. Running from a 24vDC supply, the meters respond rapidly and output data in variety of formats. For the qualitative monitoring of single gases, any change in the SoS measurement will indicate that the purity of the gas has changed. For mixtures of two gases, SoS is a combination of the two main gas components, so there is a simple calculation to derive the proportion of each component. For example, the SoS for pure carbon dioxide is 259m/s, and for methane it is 430m/s. So, if the SoS measurement is 401m/s, the gas composition is 83 per cent methane and 17 per cent dioxide. The first product to be launched under the new Servomex Gas Detection brand, the OxyDetect is a safe area monitor which utilises advanced non-depleting paramagnetic technology to accurately monitor oxygen levels in containers - without the sensor deterioration that affects traditional electrochemical sensors used in competitor detectors. The OxyDetect utilises the Hummingbird Paracube Micro paramagnetic sensor, whose industry-leading levels of linearity, accuracy and reliability have ensured its use as a trusted oxygen sensor already. The OxyDetect therefore demonstrates several advantages over traditional technologies, ensuring users enjoy an unprecedented level of safety and performance as well as a lower cost of lifetime ownership. The OxyDetect's non-consumable design ensures longevity and eliminates the costs associated with the regular replacement of electrochemical, galvanic or fuel cells, as well as the recognised problems of cell degradation when in use or kept as a stock item. As the OxyDetect's paramagnetic measurement stability also eliminates the requirement for frequent calibration, users avoid frequent labour and downtime costs, incurred either when a traditional cell is calibrated or replaced due to anticipated expiration or sudden failure. The company is also claiming a breakthrough in light hydrocarbon gas analysis with the launch of the new SERVOTOUGH SpectraScan. A real time optical analyser utilising the Precisive field proven optical bench, the SpectraScan offers a breakthrough capability in the continuous analysis of light hydrocarbons C1-C5+. A faster, less complex and more reliable technology than the gas chromatograph techniques traditionally used in light hydrocarbon applications, the SpectraScan is described by the company as a genuine game-changer in gas analysis. With an innovative measurement technology using NIR/IR absorption spectroscopy with state of the art spectral scanning coupled with chemometric based data processing, the SpectraScan delivers exceptionally high accuracy, low cross sensitivity and a very fast speed of response. A flow-through cell utilises a patented spectrometer design for a high quality optical measurement, resulting in a high signal-to-noise ratio which gives a highly stable and accurate measurement. No separation columns and valves are required. Metrohm's 875 KF gas analyser is a software-controlled system for determining the water content in gases and liquefied gases. The company has just published the results of a long-term test proving the stability of the new system's hard- and software, its robustness, and the good repeatability of the results produced. The results, in Application Bulletin 357, can be downloaded free of charge from www.metrohm.com. 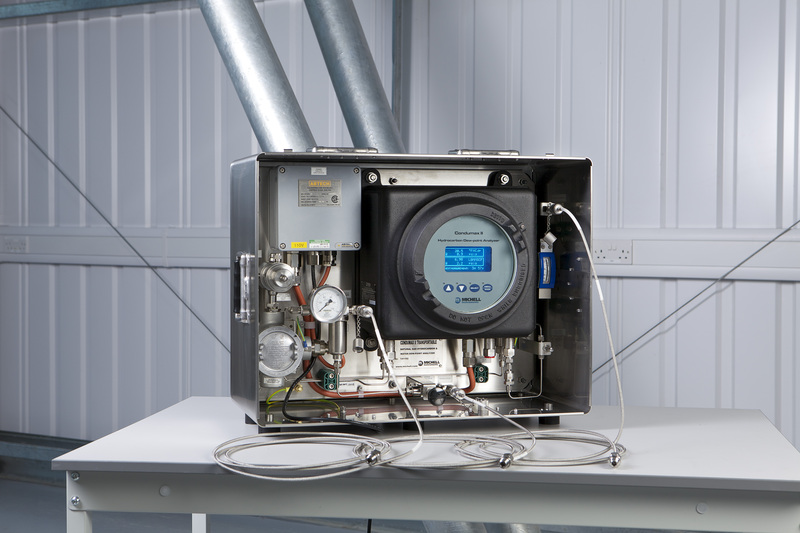 The 875 KF gas analyser module consists of a pipe system including four software-controlled magnetic valves, which allow the control of the sample gas and the rinsing gas flow. Additionally, an oven, a mass flow controller, the titration vessel with indicator and generator electrode (with diaphragm), and a coulometer are included in the module. The long-term test took 78 hours, during which 360 water determinations were carried out. Metrohm has also published a range of free monographs designed to present practical know-how of chemical analysis in a nut shell. They are written by professionals with years of practical experience, they have been used in teaching for a long time, and they are free: the company says its monographs are a great tool for anyone who wants to learn the basics of important analytical methods such as titration, ion chromatography, voltammetry, conductometry, near-infrared spectroscopy, and more. A key feature of the monographs is that they keep the theory part to a minimum, putting the main focus on practical use of the respective methods. A comprehensive list of the 15 titles currently available can be downloaded by clicking 'application literature' at www.metrohm.com.